Few films have left as great an impression on our country as Luc Besson’s LE GRAND BLEU. Twenty years later, the beach of Agias Annas on Amorgos, where the young Jean Reno dove, continues to attract visitors, while the movie has become an inspiration for an ever growing number of athletes to take up the sport of free diving, and has filled moviegoers with awe at each screening. Before time erases memory, the best Greek and international free divers will come together for the first Authentic Big Blue in the same location, below the iconic monastery of Hozoviotissa and before the chapel of Agias Annas. They will dive in the incomparable blue depths of the Cycladic waters, competing with their breath, but they will also experience the essence of Greek hospitality during the Amorgos Gastronomy Days events which are being organized to run concurrently. 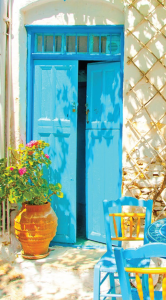 Over the course of a week the island will gather its ingredients, reveal its culinary talents and traditions and acquaint both visitors and athletes with the cuisine of Amorgos; an authentic gastronomic experience, as unique as Amorgos itself and the infinite blue. These two events have several objectives. 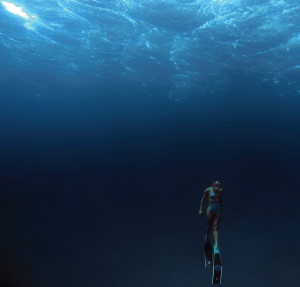 In addition to promoting the island as a destination for free diving and traditional cuisine, a core goal is to expand the length of the tourist season as much as possible. In this, we have the support of the Amorgos Municipality, the Region of the South Aegean (which is the awarded European Region of Gastronomy 2019), the Ministry of Tourism, the Greek National Tourism Organization and the Panhellenic Association of Sports Journalists, while the diving competition is being organized in conjunction with AIDA HELLAS, the Greek Federation of Free Diving. Images today are all important and therefore we have teamed up with ICARUS, an internationally recognized company, which has extensive experience in televising similar events. The coverage of the competition will be broadcast on national networks in over 40 countries. Additionally, the event will be aired on all Greek channels, and we will receive a 20 minute documentary which will include the events and all that Amorgos has to offer. This will be shown on OTETV as well. Dimitris Koumoulos, the President of AIDA HELLAS; Vice President Christos Papadopoulos, who will be responsible for the diving competition; Kostas Koumaryialis of XTERRA who will be in charge of organizing and co-ordinating; ICARUS which will undertake video coverage of all the events. Nikos Daditsios, a person with tremendous experience in organizing large and original culinary events such as The Athens Food Market and Dine Athens, will head the gastronomic team; Petros Markantonatos, owner of the GENTILINI winery, will manage all the events pertaining to wine. Top journalists in the fields of sports, gastronomy and tourism have been invited to the events, and we already have participation confirmation from Michelin-starred chef Nikos Karathanos and famous chef Alexandros Papandreou. In 1988 the famous movie “Big Blue” was filmed in Amorgos Island, Greece. 29 years later, we will dive again in the same waters for the inaugural aythentic Big Blue.